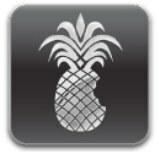 PwnageTool 4.3 provides an untethered jailbreak for iPhone 3GS, iPhone 4 GSM, iPod Touch 4G, iPod touch 3G, iPad, and Apple TV 2, all running iOS 4.3.1. This guide is geared towards jailbreaking iOS 4.3.1 on iPhone 4 and iPhone 3GS because PwnageTool is able to preserve baseband for iPhone carrier unlocks. If you are simply looking for a jailbreak and do not need to use an unlock, you will find jailbreaking iOS 4.3.1 using redsn0w is easier. When iTunes is finished, the iPhone will boot into a jailbroken iOS 4.3.1. You can verify the jailbreak worked by looking the Cydia icon on your iOS homescreen. If you completed the jailbreak properly, your baseband will also have been preserved allowing you to unlock iPhone 4 or 3GS running iOS 4.3.1 using ultrasn0w 1.2.1. Installing the ultrasn0w carrier unlock is simple, but you must have iPhone 4 or iPhone 3GS on baseband 01.59.00, 04.26.08, 05.11.07, 05.12.01, 05.13.04, and 06.15.00 in order to work.